At the 22nd Annual Webby Awards on Monday night in New York City, some major A-list stars like David Letterman, Jesse Willaims and more went home with coveted trophies. The students from Parkland, Florida, were also honored for the #NeverAgain movement and host Amber Ruffin, who kept the audience laughing the entire night. Ruffin, a comedian and writer for late-night TV, hosted the show and was savage. She tackled #MeToo at the start telling men who feel scared around women after the movement, "Boo hoo." 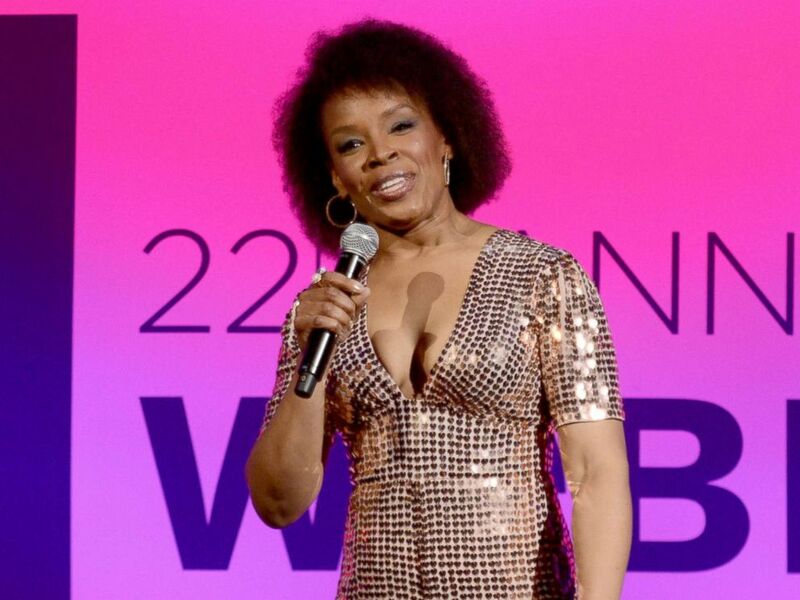 Host Amber Ruffin speaks at the 22nd Annual Webby Awards at Cipriani Wall Street on May 14, 2018 in New York. Our host @ambermruffin just took the stage! Her suggested hashtag for the evening? #Amberlooksgreat Sounds good to us! "Women have been scared of people misinterpreting their interactions their whole life," she said. She later added that 40 percent of her jokes would be about living as a black woman in America and 30 percent would be about President Donald Trump. She wasn't kidding either. The iconic David Letterman took home an award for his Netflix show "My Next Guest Needs No Introduction" and brought down the house with his presence and short speech. All speeches at the Webbys are capped at just five words. Of course things got a little political as former Mexican President Vicente Fox accepted an award and his five words were, "Jumped the wall to come." His speech was an obvious nod to President Trump's plan to build a wall on the Mexico-America border, of which Fox has been a staunch opponent. March for Our Lives and #NeverAgain also took center stage Monday night. Naomi Wadler, Adam Alhanti and John Barnitt onstage at The 22nd Annual Webby Awards at Cipriani Wall Street on May 14, 2018 in New York. Parkland students Cameron Kasky and John Barnitt accepted the award on behalf of the movement. They and their classmates have been campaigning against gun violence after 17 of their fellow high school students and teachers were killed on Feb. 14. After accepting the award, Kasky, Barnitt and fellow advocate Naomi Wadler all received a standing ovation from the audience. 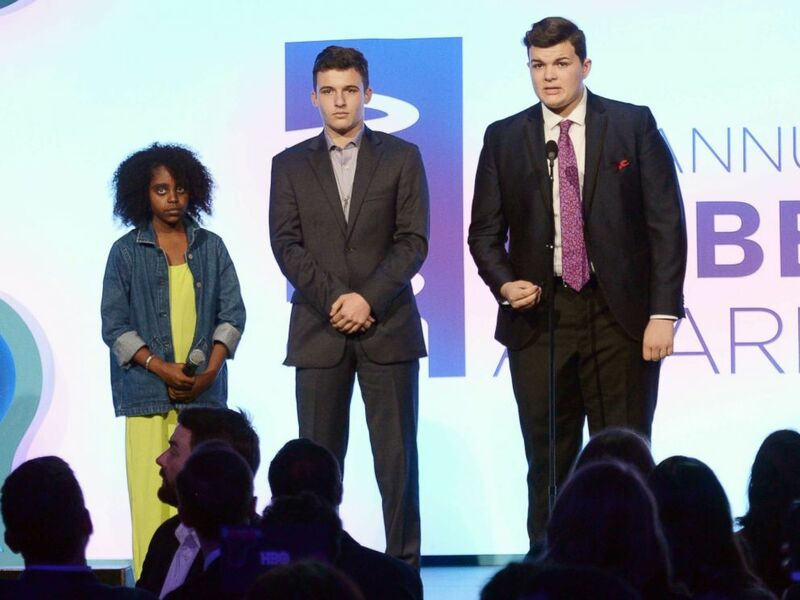 Naomi Wadler, Cameron Kasky, and John Barnitt have taken the #Webbys stage to urge our winners to take action against senseless and systematic gun violence ??????????????? Other notables that were honored at the Webbys included NFL star Chris Long, who received a Webby for his work in bringing clean water to the people of Tanzania and actor Jesse Williams, who has been known as a social justice warrior on the internet for years. "Afraid? OK do it afraid," Williams said in accepting his award. WATCH all the highlights from the 22nd Annual #Webbys!